From eye-popping architecture to world-famous surrealist art, Brussels has more to offer than beer, chocolate and moules-frites. 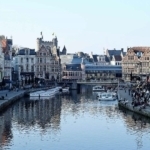 Scratch the skin of Belgium’s capital city and beyond the political workings of its European Union institutions, you’ll find a place that doesn’t always take itself so seriously. According to Vogue magazine, this city is ‘the charming, quirky capital you need to visit now’, so here are six unusual things to do in Brussels on your next trip. If you like accommodation with a difference, book a night at the Train Hostel in Brussels. 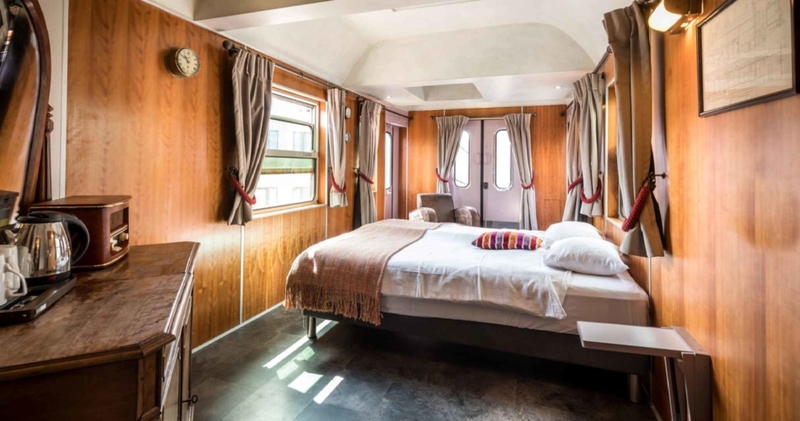 This boutique 200-bed hostel, which opened in September 2015, has two genuine historic railway carriages perched on its rooftop, stylishly renovated with authentic artefacts. The 100-year-old building contains train-themed dorm rooms, private rooms and apartments, as well as a converted sleeper train cabin, which has bunk beds for six people. For something extra special, one or two people can have a luxury retro carriage to themselves. Located next to the Train World museum in Brussels, this hostel is a haven for train lovers and people who enjoy staying somewhere out of the ordinary. 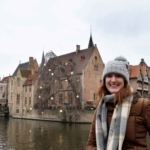 The Train Hostel prides itself on being open and friendly to everyone, whatever your age and background, and whether you are a solo traveller, a couple or a group. Facilities include a book-swapping library, table football and a communal dining area. Just 15 minutes by public transport from Brussels city centre, the Train Hostel offers beds in shared rooms from €20 a night, while the deluxe train carriage suite costs around €180 per night. 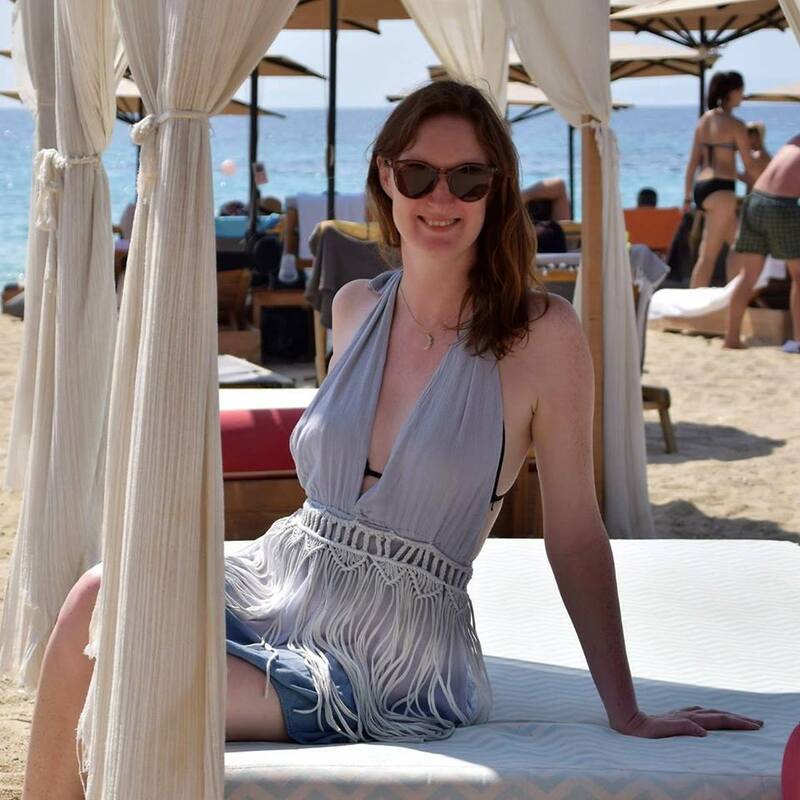 To find out availability and book, click here. One of Brussels’ coolest features is its comic strip walk. Over 50 large comic strip murals don the walls of buildings throughout the city, featuring characters from some of the best-loved Belgian comics, including The Adventures of Tintin, Gil Jourdan and Lucky Luke. In 1991, the city’s local authorities collaborated with the Belgian Comic Strip Center museum to create this project to cement Brussels’ claim as the comic strip capital of the world. It is, after all, home to world-renowned cartoons including The Smurfs. Following the comic book trail is a good way to discover the capital of Belgium. A map is available for around €1 from the visit.brussels tourist information centres. If you prefer a guided tour by bicycle, check out Pro Velo’s 3-hour bike tour. 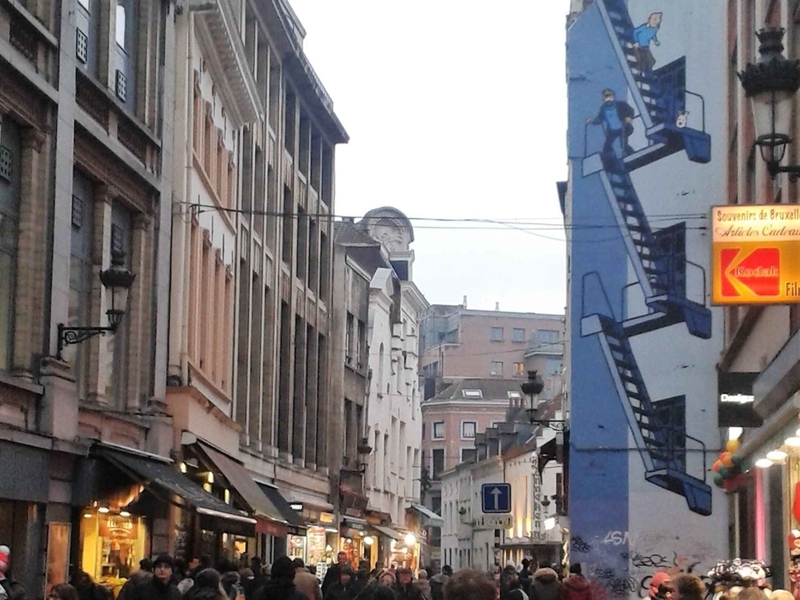 2019 marks the 90th anniversary of Tintin and you can find his mural on Rue de l’Etuve, close to the city’s famous Manneken Pis statue (read more about this below). The Adventures of Tintin author Hergé (the pen name of Brussels cartoonist Georges Prosper Remi) died over 30 years ago, but his comic books still sell a million copies a year, published in 77 languages. Why not embark on your own adventure around Brussels to track down all of Belgium’s comic book heroes. René Magritte, born in 1898, was a Belgian surrealist artist known for his witty work depicting everyday objects in a thought-provoking way. His work was a precursor of pop art, minimalist and conceptual art and is still displayed in high profile galleries and museums around the world. The Magritte Museum in Brussels is dedicated to the life and works of this famously quirky artist. 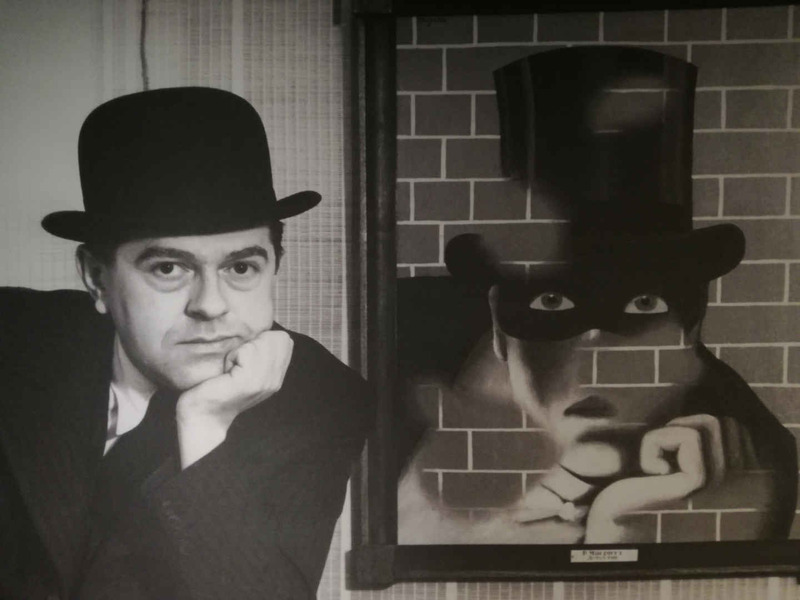 Magritte created The Treachery of Images (1929) when he was 30. This simple and stark painting of a tobacco pipe has the words written underneath: Ceci n’est pas une pipe, meaning ‘This is not a pipe’. While it may seem contradictory at first, Magritte’s aim was to create poetry through art. His point is that what he painted isn’t a pipe. You can’t put tobacco in it and smoke it. It’s merely a symbol, an artist’s depiction of what we know to be a pipe. Brussels is home to one of Europe’s craziest pieces of architecture, The Atomium. This 102-metre tall construction of nine 18-metre diameter stainless steel spheres, connected by interlocking tubes, is a city icon. It is shaped like a unit cell of an iron crystal magnified 165 billion times. 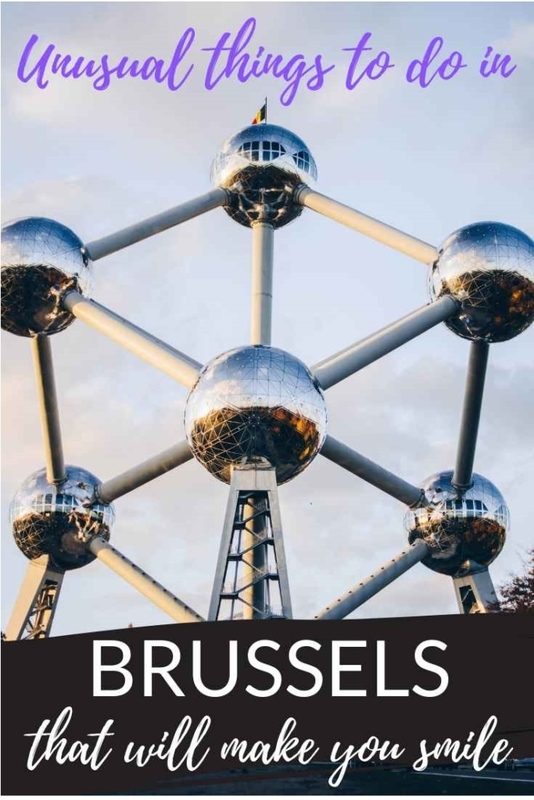 Built for the city’s 1958 World’s Fair, each giant silver ball hosts an exhibit while the top ball contains a restaurant with panoramic views over Brussels. At night-time the whole building is beautifully lit up and it sometimes hosts large dance parties and firework displays. 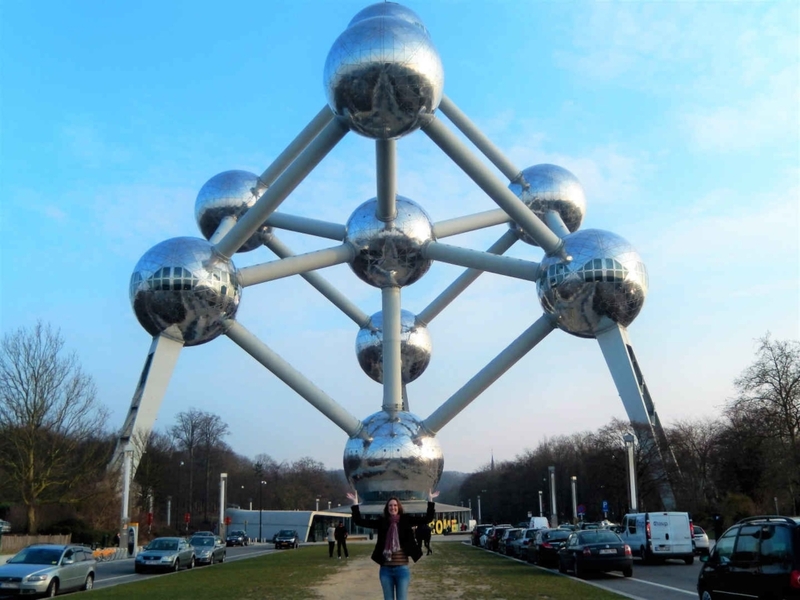 In 2013, CNN named The Atomium ‘Europe’s most bizarre building.’ For more information, visit The Atomium website. Brussels is home to the European Union’s decision-making institutions and is considered the capital of Europe. So where better to have a theme park where you can stroll around a replica of all the European countries’ most famous landmarks, in miniature? Located under the shadow of The Atomium’s oversized atom, this is quirky city planning at its finest. 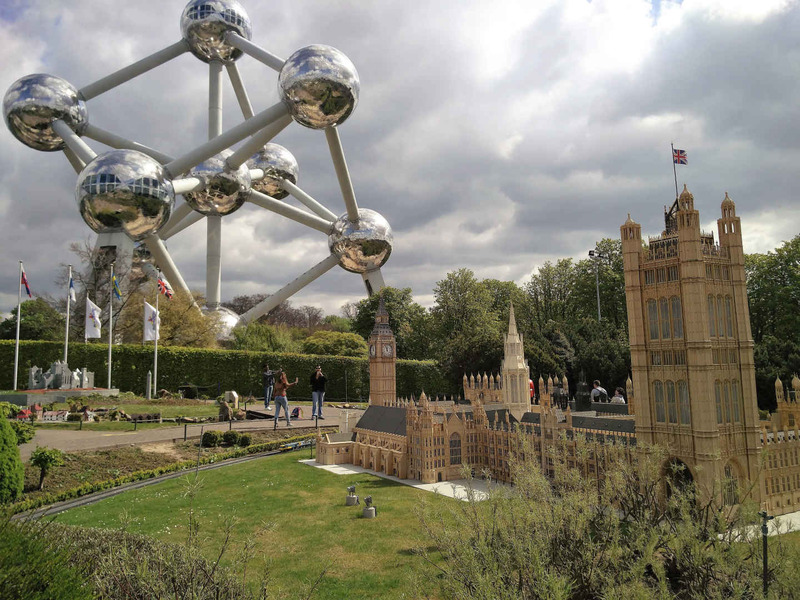 At Mini Europe, you can discover tiny versions of the continent’s most famous attractions, reduced to a 25th of their real-world size. This peculiar park features reproductions of around 80 cities and 350 buildings, including France’s Eiffel Tower, Germany’s Berlin Wall, Rome’s Acropolis and the UK’s Houses of Parliament – complete with mini Brexit protestors waving placards outside. The park keeps things moving with live action models including speeding trains, spinning mills, an erupting Mount Vesuvius and gliding cable cars. You can spend hours here spotting funny details of the tiny citizens in each condensed country. For more details, visit the Mini Europe website. 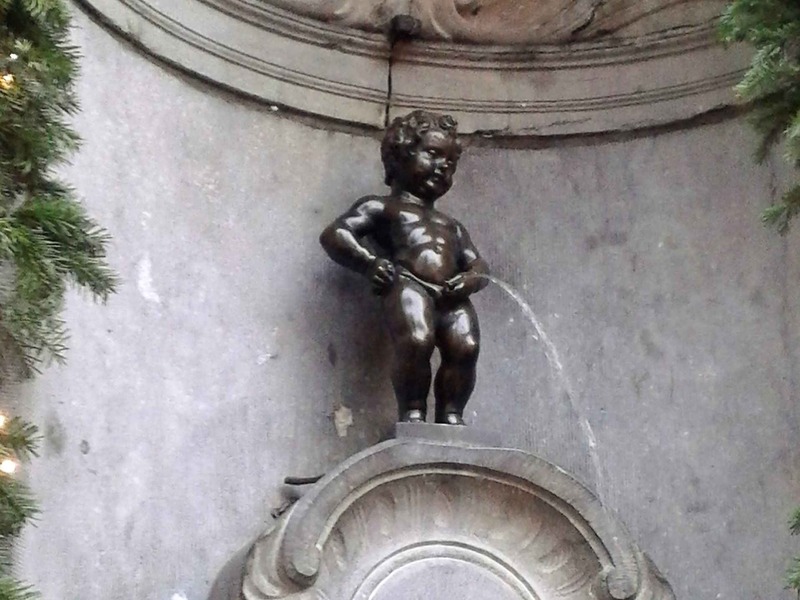 Brussels’s most famous statue is the Mannekin Pis, which in Dutch means ‘Little Pisser’. As the name suggests, this is a bronze sculpture of a small naked boy urinating into a water fountain. This celebrated statue in the heart of Brussels, on the corner of Rue du Chêne and Rue de l’Étuve, dates back to the 17th century, but the version seen here today by tourists is actually a copy. The original is kept in the Brussels City Museum in the nearby Grand Place, as it has historically been a target for thieves. For such an iconic statue, it is smaller than you might expect, standing at only 61 centimetres tall. There are several legends behind this strange statue. 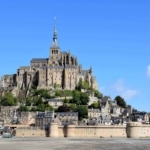 One of the more plausible explanations is connected to the many leather workshops located on Rue de l’Étuve during the Middle Ages. At this time, the workers encouraged local children to urinate on the leather to help the tanning process, as the ammonia contained in urine made the leather more supple. If a statue of a boy peeing isn’t unusual enough, the Manneken Pis is regularly dressed in different outfits based on special days, national costumes and local events. A schedule of his costume changes is posted on the fountain’s railings. Around a thousand of his outfits can be viewed at the Garderobe MannekenPis, which recently opened close by on Rue du Chêne. On a wander around Brussels, you may also discover the boy’s cousins who are also relieving themselves. Jeanneke Pis, located on Impasse de la Fidélité, is a sculpture of a little girl squatting to pee, while Zinneke Pis, a model of a dog lifting its leg to urinate on a bollard on the corner of Rue Saint-Christophe and Rue des Chartreux. So, there you have it. Six unusual things to do in Brussels to bring a little of the bizarre to your next visit. And there are plenty more where they came from, including an array of unconventional dining experiences and one of the world’s deepest indoor swimming pools. Take a trip to the capital of Europe and discover the Belgians’ famously surreal sense of humour that will make you smile.